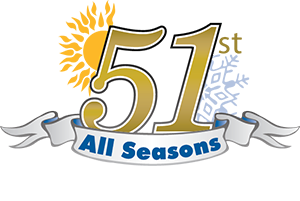 Whether you need heating installation, repair or maintenance for your Long Island home, you can count on All Seasons Air Conditioning to help. Since 1968, we’ve been helping people with their heating service needs. 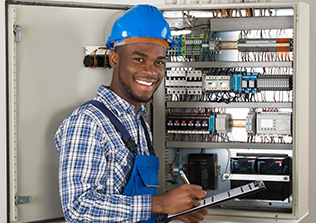 Because of our heating system proficiency, skilled technicians and excellent customer service, our customers know they can trust us for their heating service needs. Keeping your home adequately heated during the chilly winter months is important for your family’s health and safety. When temperatures dip during the chilly Long Island winter months, you can rest assured that All Seasons Air Conditioning is prepared to help with whatever heating services you need. Our technicians can expertly install, repair or maintain the heating equipment you need to stay comfortable. Are you looking for furnace services for your Long Island home? Whether you need furnace repair, maintenance or installation, All Seasons Air Conditioning can help. From your annual furnace tune-up to a newly installed, high-efficiency furnace system, we can help you with any size furnace service with unmatched professionalism and courtesy. At All Seasons Air Conditioning, we train our technicians to properly repair and maintain all furnace brands, so you’ll be sure that when we work on your furnace, we’ll do the job right the first time. And, if you need a furnace replacement, you can rest assured that we only install the best brands available on the market today. From the smallest repairs to the largest new installations, we work hard to make sure you’re satisfied with what we’ve done for you. When you need boiler services for your Long Island home, All Seasons Air Conditioning can help. No matter if you need boiler repair, maintenance or installation, our skilled technicians are ready to assist you. From your annual boiler tune-up to a newly installed, high-efficiency boiler system, we can help you with any size boiler servicing with unmatched professionalism and courtesy. At All Seasons Air Conditioning, our technicians have been highly trained in the proper repair and maintain all boiler brands, so you’ll know that when we work on your boiler, the job will be done the right way, the first time. Should you need a boiler replacement, count on the fact that we only install the best brands from the top manufacturers in the industry. Whether you need a small repair or a brand-new installation, our goal is that you’re happy with the work we’ve done for you.